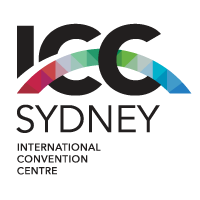 Sydney Convention and Exhibition Centre began working with PC Corporate in July 2010. Following a review, PC Corporate was successful in continuing the supply of our uniforms and garments to ensure the standards of the centre would be maintained. PC Corporate strengthened their partnership with the centre by introducing new ideas, garments and fabrics to meet the requirements of our varying departments. They worked to understand how the particular garment was going to be worn and collaborated closely with us to find a solution. They also developed special fabrics just for our organisation; allowing us to draw on the stock as required, ensuring consistency in our uniforms. Most importantly Patti and her team worked hard on developing and working on the partnership to understand our needs hence meeting the requirements of the business. Also, the approach of Patti as in conducting and representing her business is clearly defined in her conduct, professionalism and integrity. We would not hesitate to use Patti and the PC Corporate team again and would be happy to recommend them into the future.